Surfer inspired style! We’re sure that you’ve heard of Reef, that So-Cal-based company that started with the active sandal and has grown into a global surf lifestyle leader, and we know that you’ll love their Rose shoe as much as we do! Comfy right out of the box and such a versatile shoe. 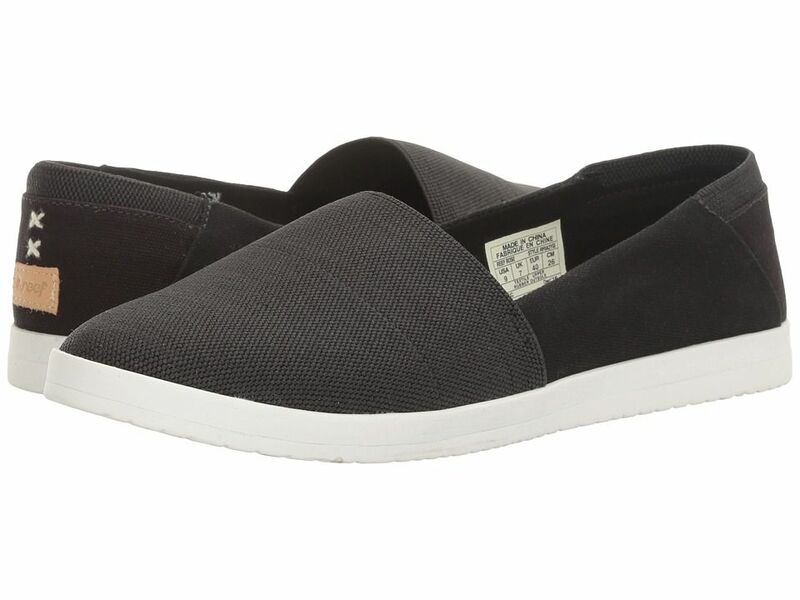 Don’t be fooled by the sleek lines of these slip ons. They have built-in arch support, a high-density cushion rubber outsole, and cotton canvas liner. Just as suitable for an urban adventure as for a day at the park or brunch with the fashionista girls. We got them in go-with-everything-black, but they also comes in rust, grey, and mint. More than a surfer’s delight, it’s the Reef Rose!